January 20, 2012 August 11, 2014 Wallace Bishop I.N.H.C, C.N.C. As a part of our daily American lifestyle, we are exposed to situations, events and chemicals in our lives that cause chronic inflammation in our bodies. 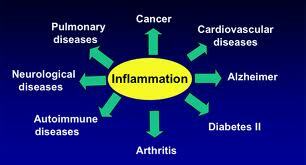 This type of inflammation can be very harmful and its important to eliminate or reduce it. In Part I we discussed what inflammation is and how it harms our body. 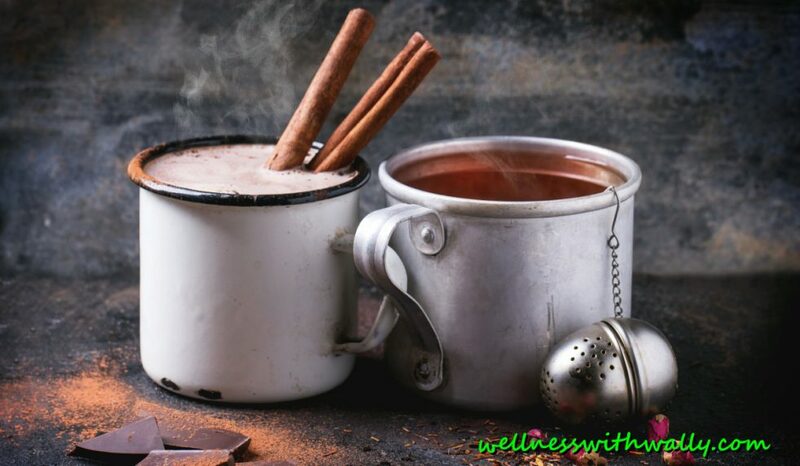 Now lets look at the symptoms of inflammation and how to reduce it. Premature aging such as wrinkles, arthritis and other degenerative conditions. I cannot emphasize enough how important it is to manage the stress in your life. I know people who live a very healthy lifestyle, they eat very healthy, exercise, reduce their exposure to toxins and they still get cancer, may have chronic infections or any of the other adverse health conditions caused by stress. The common thread is the amount of stress they are carrying in their daily lives. This must be managed if you wish to reduce your risk for illness and serious health conditions. The standard American diet and lifestyle leads the way as the primary instigator of chronic inflammation. The consumption of refined sugar, refined flours, dairy, artificial sweeteners, refined and processed foods, trans fats, saturated fats and preservatives create inflammation throughout the body. This may eventually cause cancer, high blood pressure, diabetes, asthma, allergies, reduced immune system function, high cholesterol, chronic infections, auto immune diseases, heart disease, digestive disorders and other adverse conditions. Eat a diet rich in organic (organic foods reduce our exposure to inflammatory causing chemicals) vegetables, beans, low sugar fruits, low glycemic grains, nuts and seeds. Occasionally add wild caught salmon, cod, halibut or sardines and free range organic turkey, chicken and eggs. Avoid red meat and pork or certainly restrict the intake of red meat and pork. Get a minimum of 7 hours of sleep per night. Adequate sleep is critical for our health. Exercise daily; exercise boost the body’s ability to detoxify and at the same time improves the function of all body systems. Drink adequate amounts of pure water daily. Vitamin C: 1000 mg’s twice per day; boost immune function, intestinal cellular membrane health. I would encourage you to eat foods rich in Vitamin C first. D-Ribose: 5000 mg’s twice per day, improves cellular energy for muscles. Licorice (Glycyrrhiza glabra) and Siberian ginseng (Eleutherococcus senticoses) help the adrenal glands function better relieving stress. Zinc: 25 mg’s 3 times per week, if a bigger dose is taken or if taken every day, 2 to 3 mg’s of copper must be added to the intake. Biosuperfood F2: 6 capsules per day, brings about endocrine balance by awakening the hypothalamus-thalamus-pituatary-thyroid relationship. It is also rich in astaxanthin which is natures most powerful antioxidant. L-Glutamine: 5000 mg’s daily, very important for healing and improving the function of the digestive tract, we carry a product that provides the L-Glutamine plus other nutrients in one product for healing the digestive tract. Leave junk food alone. It builds a junk body. Eat a diet rich in natures best foods. These foods are anti-inflammatory, nutrient dense and promote body balance and overall health! Previous Post Want to lose Over 100 Pounds? This is how I lost over 200!